As the Winter Solstice Approaches. Already, I miss the higher sun, the longer days and, of course, my photo-walks around this rural haven that I call home. 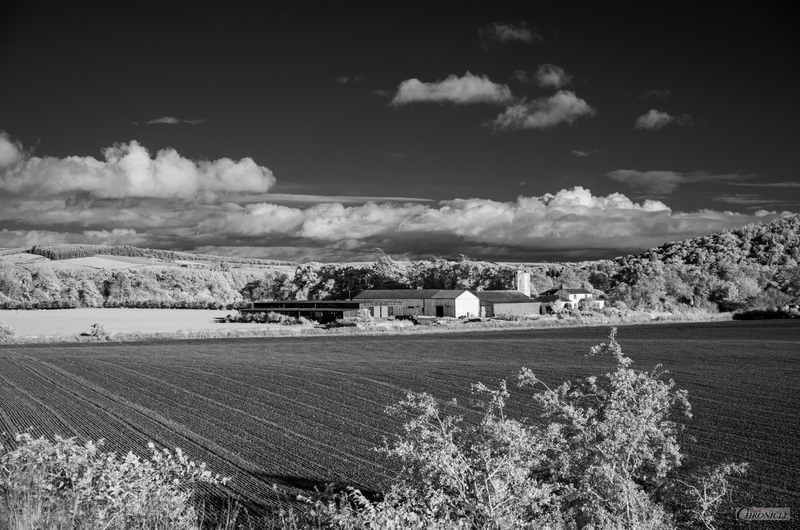 These few frames were among the last infrared captures I had made not too many weeks after the segue from summer, to autumn. Yes, I do miss my IR walks. The sun, the warmth, the solitude and, the searching – for the almost ethereal – are to me, those things that I enjoy most about it. As I look forward to next year’s spring, I shall embrace these shorter, darker, colder days – for their own challenges will become my own; but, I long for the light. If only to see scenes like these through my viewfinder again. III | Above & Beyond. 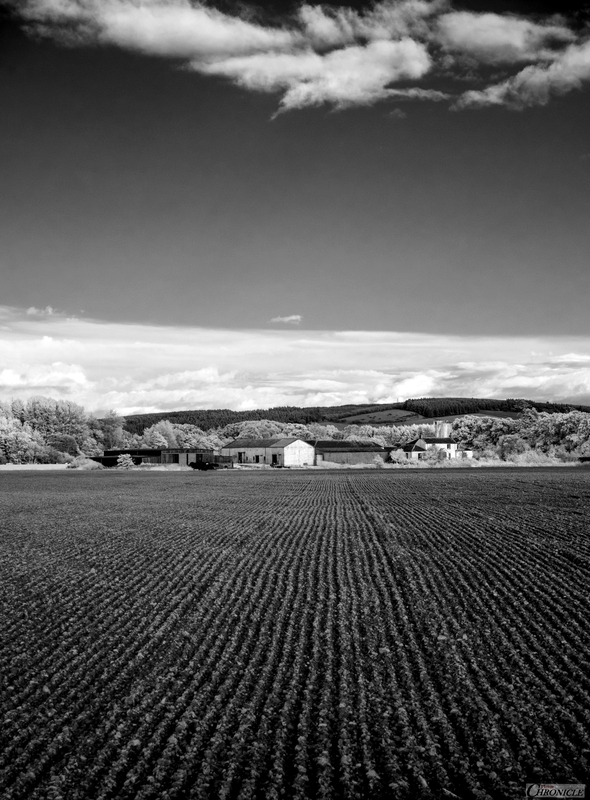 Sometimes my hurried compositions can lead to mistakes and, in frame two, I felt that the clouds were too high in the frame, but the plough lines leading in, were the reason I wanted to capture it so, I didn’t want to shorten the bottom third of the frame. Sometimes I’m still not sure but, I like it for what it is. 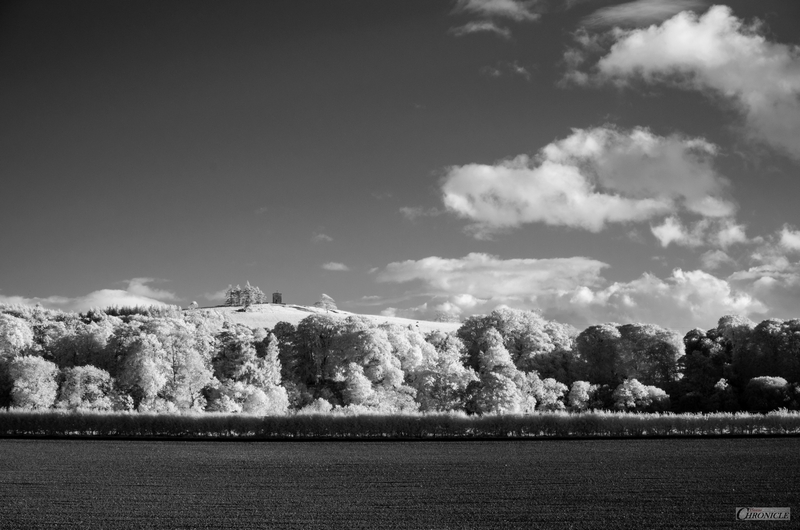 I love how an IR landscape can fool the eye sometimes too, but whenever I remember bright sunny days, in my mind, this is the light I always see. I’m very happy that you like them! Thank you! 🙏 Best, Rob. Thank you Quy! Purely posted out of equal measures of nostalgia and impatience! I’m so glad you like them too. 😉 By the way, your new site on blogger looks great. You have my attention, still! Keep up the good work and I hope you’re having a great week! 🙏 All the best, Q. Rob. It is always pleasant to see summer photos in winter! Thank you for bringing a piece of summer! P.S. But I will keep on waiting for more of your macros and still lifes! Ha-ha!